Do you know what your school's policy is on bullying? Every school has one, but policies vary from district to district in how cyberbullying is defined and how it is punished. Although there are almost as many types of policies as there are schools, a popular one is the zero tolerance policy. “Zero tolerance” means that any and all violations of the policy is grounds for the harshest punishments a school can dole out: namely suspension and expulsion. Zero tolerance policies used to be reserved for bringing drugs or weapons to school, two offenses that require the removal of the offending student because he or she is endangering the whole student body. In reaction to the severe nature of cyberbullying and the worrying trend of so-called “bullycide,” schools have liberally applied zero tolerance to bullying in an effort to stop the behavior. So is zero tolerance appropriate and does it work? Although folks on both sides of the debate have firm opinions one way or the other, the jury is still out on the zero-tolerance bullying policy. On one hand, zero tolerance policies are great because all incidences of bullying are punished, with no chance of a student getting off the hook because he's the quarterback of the football team. Heavy consequences like being suspended or expelled also deter potential cyberbullying from happening, in theory anyway. On the other hand, zero tolerance policies are flawed because they leave no leeway for school administrators to look at the context of the bullying or the surrounding circumstances. A first-time offender gets the same punishment as a pathological bully who probably does need to be removed from the school. 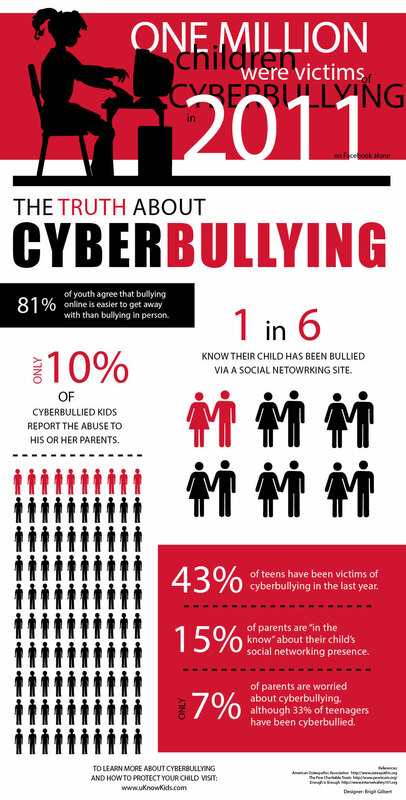 Teachers and students may be less likely to report incidences of bullying knowing the consequences the child will face. If your school's policy is zero tolerance, you should know it, and you should communicate it to your children. It's not just mean kids or rotten kids who sometimes go with the crowd and participate in cyberbullying – but under zero tolerance policies they're punished as if they were.